Connect to smtp.gmail.com on port 465, if you’re using SSL. And Connect on port 587 if you’re using TLS. Username: your gmail email address. Pwd: your gmail email address password. 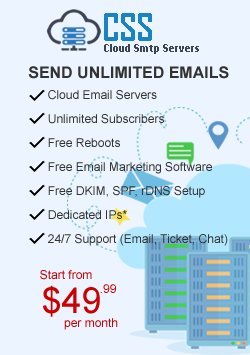 Search the biggest database of smtp server providers coupons on the planet. We have almost all well known and best smtp server providers listed at our website. copyright 2017-18 SMTPCOUPONS.com, All rights reserved.